It is no longer enough to secure one’s home or business by just changing old and outdated locks with new high-quality locks, although it definitely helps. Locks alone do not guarantee that people cannot break into your residential or commercial property, more is needed – help from a credible residential and commercial locksmith service. Verify certifications, accreditation and licensing. The best and simplest way to ensure that your locksmith is truly a professional is to check their accreditation. These will provide you with the verification that your locksmith is professionally trained and licensed by the proper licensing authority, to provide security and locksmith services to the public. Reputation and reviews. When it comes to protecting what is valuable, you should make sure that you hire an experienced, trusted and well-known locksmith. Successful locksmiths will have many clients, and you should be able to find ample positive reviews about the level of service they provide from previous customers. A knowledgeable locksmith. Professional residential and commercial locksmiths will know how to assess your property’s security needs, and they will work with you on choosing the best types of locks and security systems that meet your specific needs. If you are looking for credible residential and commercial locksmith services, then look no farther than Glenferrie Locksmiths, a premier locksmith company in Melbourne with over 30 years of experience in the industry. 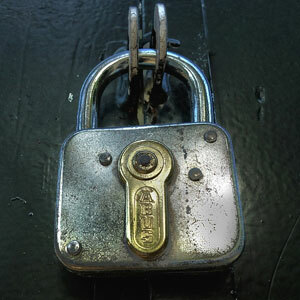 Glenferrie Locksmiths are one of the most trusted locksmiths in Melbourne. We hire only highly trained and trustworthy security technicians and locksmiths, who can secure residential and commercial properties with high-end security systems and state of the art lock solutions that will effectively deter and stop break-ins.